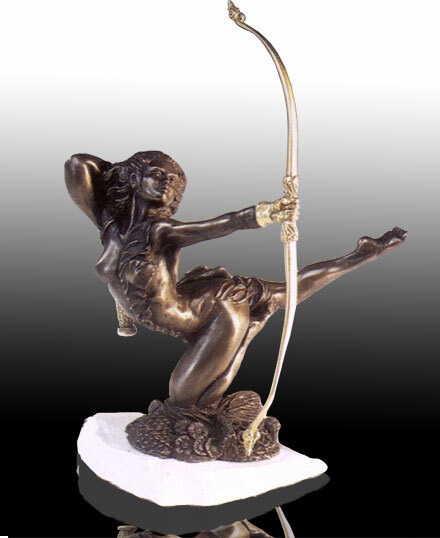 The sculpture is 210 mm in height excluding the bow, which is finished in polished bronze. "Diana the Huntress" is supplied in a worldwide Limited Edition of only 20 pieces. Each reproduction is numbered and accompanied by a Certificate of Authenticity, signed by the sculptor.